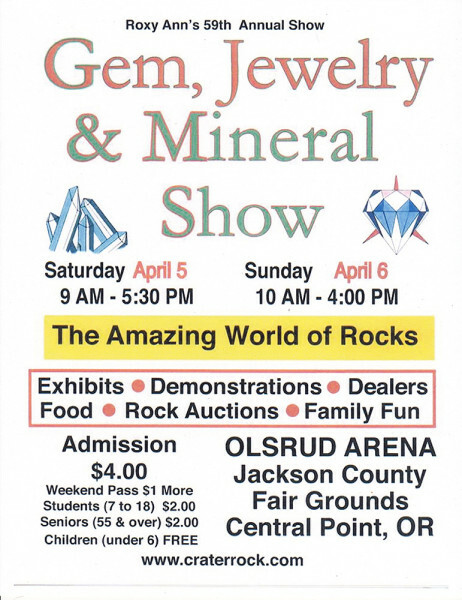 This is a very belated post, but I will be at the 59th Annual Gem, Jewelry & Mineral Show in Central Point, OR this weekend at the Jackson County Fairgrounds, demonstrating gemstone ID. 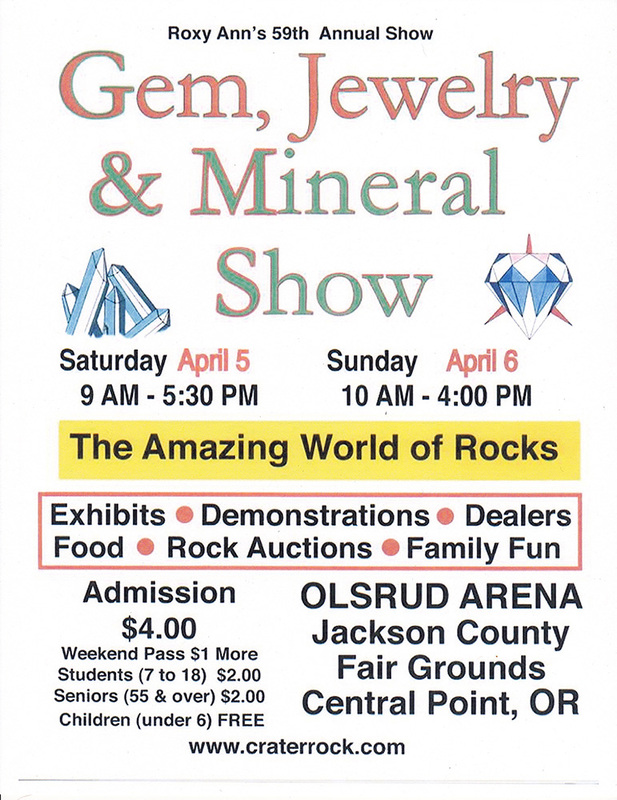 If you’re in the area, stop by and say hi! Download the show flyer.